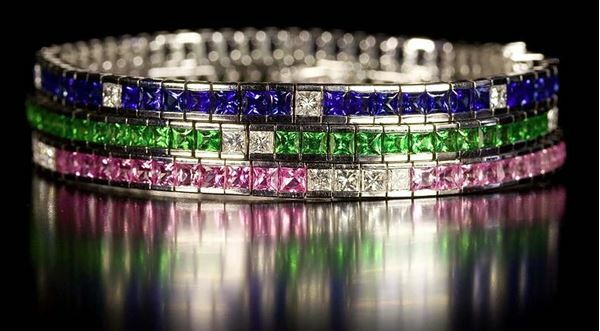 Colorful studded bracelet designed by Philip Zahm and sold by Bayside Jewelry. Bayside Jewelers is a third generation family business specializing in custom designs and bridal jewelry. Located in the Iowa Business Center, we create custom rings and fine jewelry of unparalleled craftsmanship on site. We are a full service jewelry store offering fine jewelry from traditional to unique from several famous designers as well as our own custom designs. We also specialize in antique and estate jewelry, watches , coins and other unique items. The rings and other fine jewelry are typically one of a kind, so that you can choose the item that is perfect for your taste. Copyright © 2019 Bayside Jewelers. All rights reserved.